Just adding a carbon fork does not a mixed material frame make. LOL, reading comprehension issues there Tim? 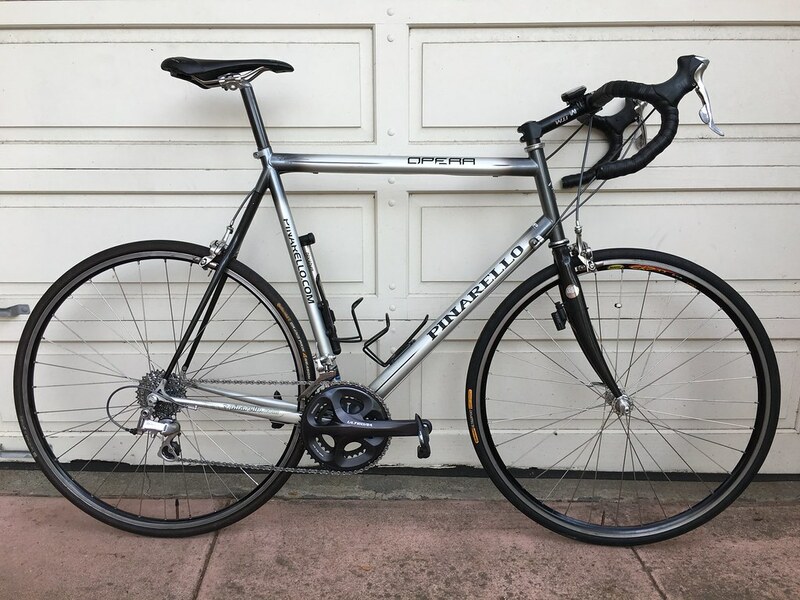 OP's posts: We have a thread for titanium and carbon bikes, so why not a thread of mixed material bikes as well? I have only test ridden a Nove and enjoyed the feel of it. Ever since then I have wanted to try out a ti/carbon mixed frameset. " No where does he say frame. He says frameset. Define frameset: A frameset consists of the frame and front fork of a bicycle and sometimes includes the headset and seat post. I would say the thread title should have been more specific to mixed-material frames, but I will say you have a couple very pretty bikes! +1 to "mixed-material" referring to the frame, not the frameset. There were plenty of carbon forks in the aluminum and steel threads. LOL, I actually totally agree now that I see that I'm the only one to read it so literally. I'm feeling so persecuted now for not reading the OP's mind instead of just his words. Time to crawl off into a corner and cry, LOL! Apologies for the confusion. My uneducated self did put frameset instead of frame, but it was pretty evident what my intent was. BTW nice lemond James. I really like the paint. Lets start a thread of non-carbon bikes with carbon forks, 'cause there ain't nothing more exciting than a stock bike with a stock fork. I fixed it, I'm easily confused. Eh! It's alright, I laughed a. It and almost messaged you about it on PM.. life goes on, youve got some pretty bikes sir! Wait a minute! I've got a steel bike with a steel fork that I put a carbon stem on, does that qualify as mixed material? I believe you nailed it with your first post in this thread. That thing is a big beauty! LOL, it's all good. I never take this stuff seriously. Too busy drooling over all the beautiful bikes. 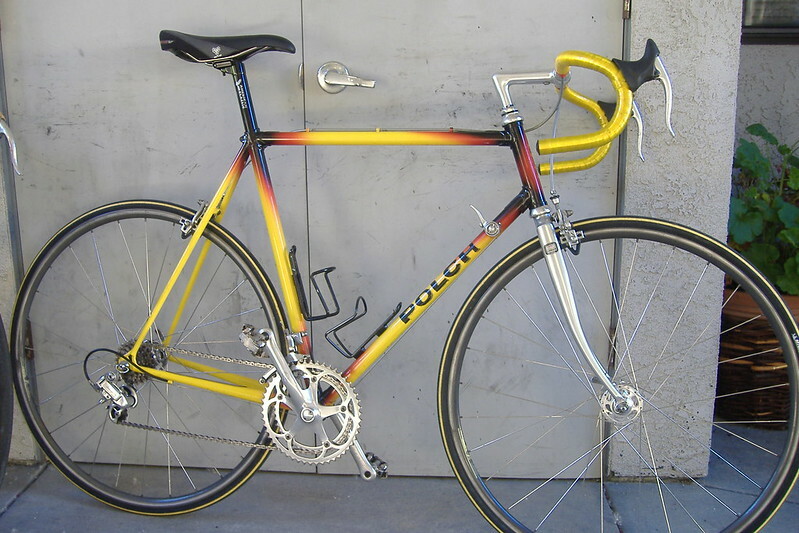 This bike built by Edmund Polchlopek in France in the 1980's and used main tubes of MacSteel tubing. These butted steel tubes had .2mm-wall center sections lined with carbon fiber, and were originally designed for aircraft. Diamondback would do something similar with their "welded carbon fiber" bikes in the 90's, but neither of these designs exposed the carbon to assembly heat applied near the ends of the tubes. This bike has Tri geometry, so I don't ride it much, but has lasted over 30 years now and shows no unusual flex characteristics. I like that it has the elegance of lugged-steel construction, and was initially in disbelief when the seller told me it was a composite frame! Last edited by dddd; 04-18-2018 at 09:10 PM. That is so cool. Excell steel did the same thing. Somewhere in the Gita warehouse is a Giordana steel frame with carbon fiber inside the tubes.